the pedestrian takes his place back, walking along the water. updating it in this new urban context. reconciling the inhabitants to the precious water under our feet. in transition in this rapidly changing society. in motion, towards new horizons. 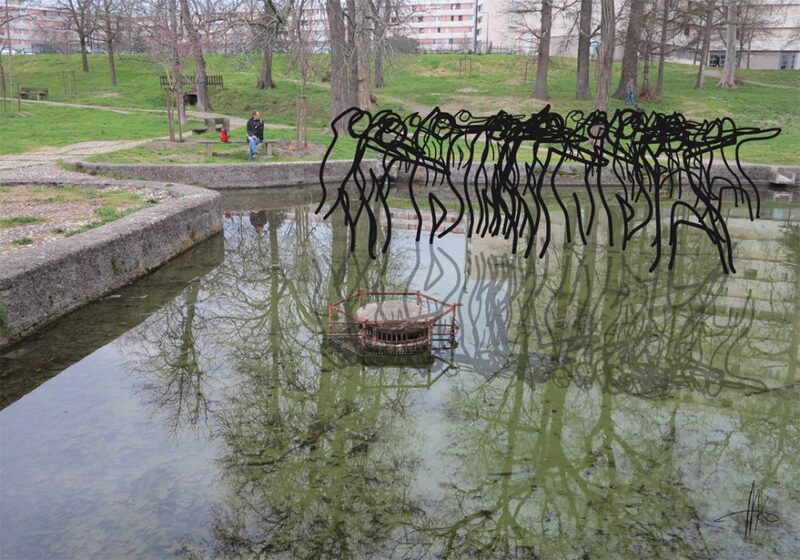 The sculpture project “holons de Bellefontaine” is proposed as part of the renovation of the small wood in Bellefontaine, Toulouse. This project emerged following a series of workshops conducted in 2015 in Bellefontaine with a group of teenagers in school support. The workshops are organized by the association Collectif HDFS, which has been running cultural projects in the Mirail district since 1995, in partnership with the CSF (Confédération Syndicale des Familles) Bellefontaine. During these workshops, we explored the different phases of realization of a sculpture: conception, video shooting, animation drawing, animation characters (holons), digital publication. The concept of crossing was at the center of our reflections: crossing the fountain, water, seas, crossing of life, our fears … crossing despite our fears, to escape, to transform, to grow , to dare, to celebrate. The sculpture materializes one of these outstanding moments. 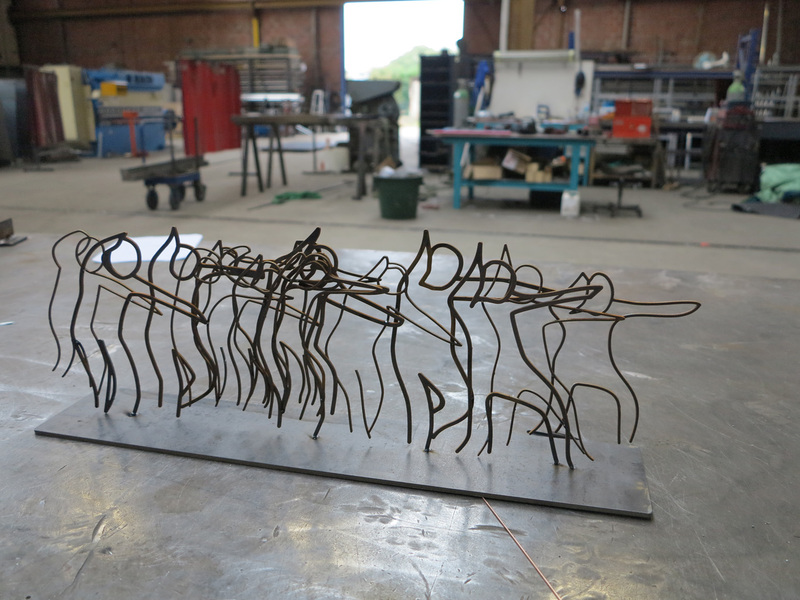 The creation process can be experimented by the visitor via smartphone or tablet, a connection in augmented reality allowing to superimpose the sculpture to its original animation and visualize the different stages of creation.